Take the time to begin or end your day with a powerful devotional. Do that for one year and your life will never be the same. Why? Because God's Word is like a seed that always produces fruit in due season. Each devotion brings to light the meaning in powerful scriptures that will become the seeds to the fruit you desire in your life. 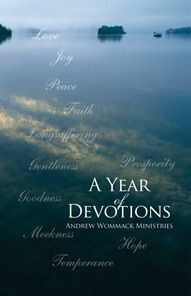 These devotions were written primarily by Andrew Wommack but also include devotions from contributing authors Bob Yandian and Bob Nichols.